Pretending that I'm a boat. Using imagination (like many of the songs we do in storytime require) is an important literacy skill. Being able to imagine is a critical element of reading and writing. 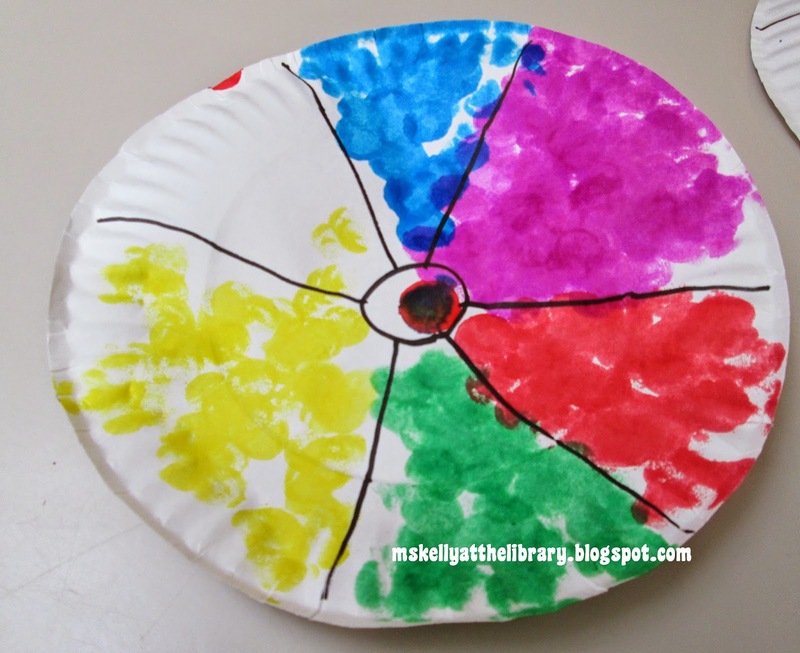 Craft: We used bingo daubers and turned paper plates into beach balls.